Disclaimer: The photos accompanying this recipe are definitely those that I took with a few small variations on this recipe, although the text will be the recipe that actually works, as mine didn’t turn out quite how I wanted it to. Lesson learned – follow directions. Especially when experienced chefs and food bloggers come up with those directions. I learned that half and half is not an acceptable substitute for whole milk. Making this hot chocolate and assuming it would turn out the same was a valuable lesson in milk fat ratio for a college student like me who just assumes milk is milk is milk. (Okay, this was foolish, but it’s cold out and I really didn’t want to go outside and pick up milk when I found out we were out.) So make this with milk for sure. Also it probably wouldn’t hurt to actually make it on a stovetop rather than in a microwave like I did, but I’d probably just start with the milk part. At least this still tasted delicious, even if it was more of a pudding. I’ll try it again soon. 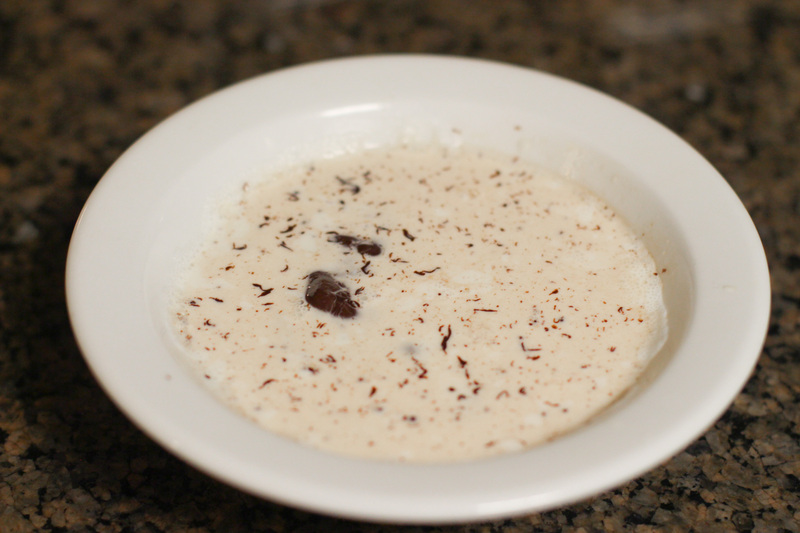 Adapted from a beautiful recipe for Parisian Hot Chocolate by David Lebovitz. 1. 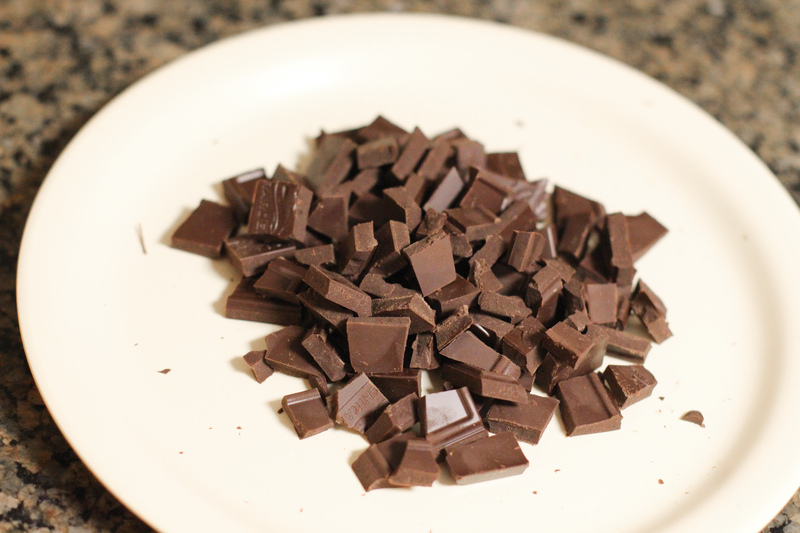 Chop or break up the chocolate bar into small pieces. 2. Measure milk into a medium bowl and heat in the microwave on high for 1 minute. 3. 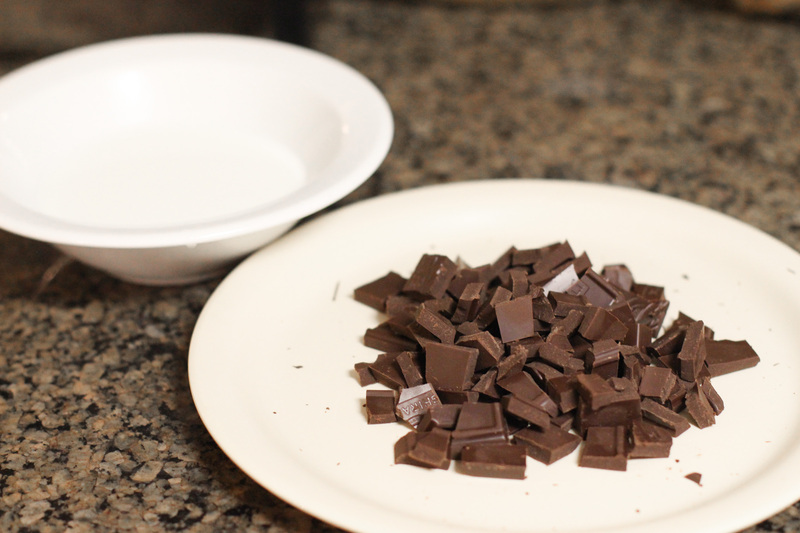 Remove from microwave and stir in chocolate pieces. 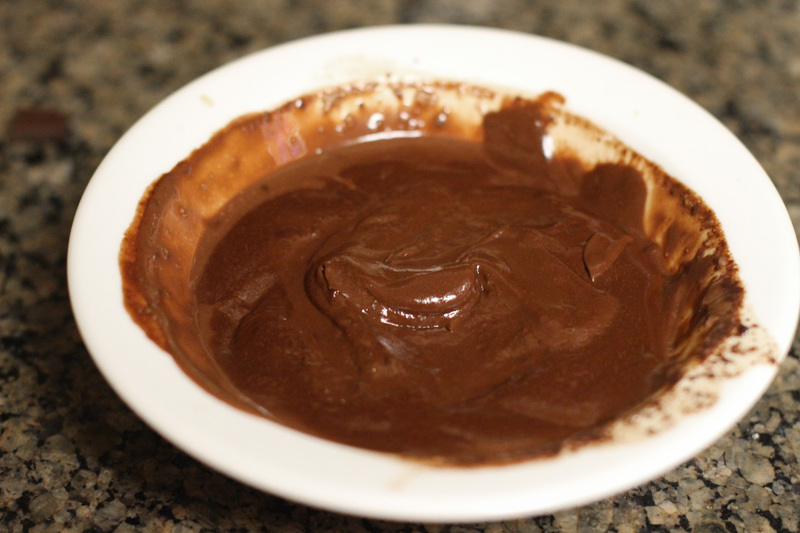 Heat in the microwave for another 30 seconds, then remove to melt the rest of the chocolate. This entry was posted in dessert, drink, Recipes and tagged chocolate, drinking chocolate, hot chocolate, milk, Paris. Bookmark the permalink.